Are you looking forward to season 8 of the Game of Thrones? 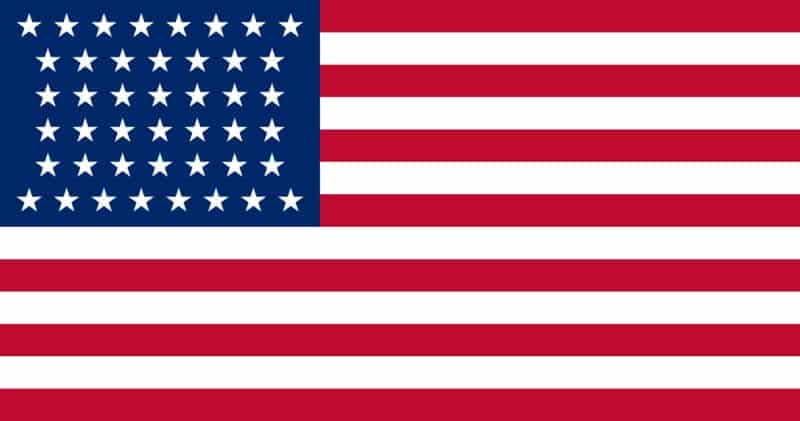 Outside of the US? No problem -- we’ll also let you know how to watch Game of Thrones abroad using a Virtual Private Network (VPN) and live stream the show from anywhere. Not going to be home during the broadcast? 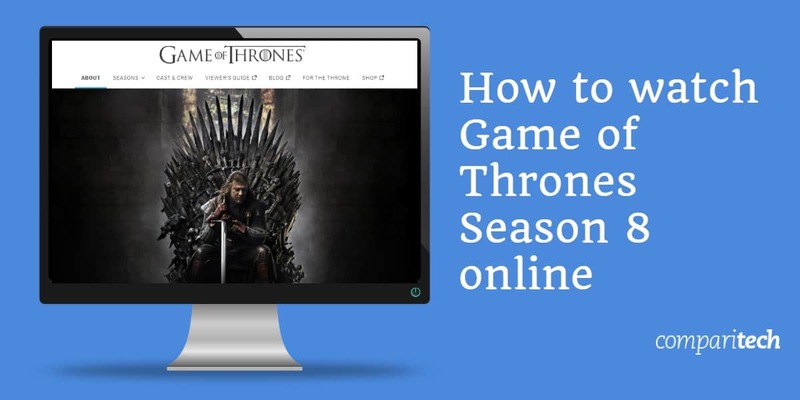 Don’t panic; below, we’ll explain how to watch Game of Thrones online from anywhere in the world. This post will only recommend official Game of Thrones broadcasters. As a hugely popular show, there are almost certainly going to be unauthorized streams, but we don’t recommend using them. They’re usually laggy and low-resolution, for a start, but as the most pirated show of 2017, HBO is on high-alert. This means that it’s extremely likely they’ll be monitoring forums, removing links, and taking down copyright-breaching streams mid-broadcast. Popular streaming platforms usually geo-block their content, restricting access unless you’re in a specific country. As such, you’ll have to use a VPN to watch Game of Thrones on these services from abroad. NordVPN and CyberGhost are excellent, low-cost services well worthy of your consideration. Download and install the appropriate version of the app for your device. Connect to a server in the country your desired service is based in. For instance, you’ll have to use a US server to unblock HBO or a British one for Now TV. Try loading previously inaccessible content. It should load right away, but if not, clear your browser’s cookies and cache, then reload the page. Remember: if you intend to watch live TV, it’s vital that you test your VPN beforehand. This way, if you run into any problems, there’ll still be time to contact the customer support team for help. Game of Thrones is not a show you want to miss any of, and appropriate testing ensures you won’t have to. GET A PAID VPN FREE: If you’re only looking for short-term VPN coverage (for example, if you’re going abroad on vacation), you might want to try out ExpressVPN’s 30-day money-back guarantee. Upfront payment is required but you can cancel at any time to get your money back. This effectively free month of coverage means you can watch four of the six upcoming Game of Thrones episodes from anywhere in the world. HBO produces Game of Thrones, so it should come as no surprise that it’s the only network airing the show in the US. Luckily, if your cable TV subscription includes HBO, you can sign in to HBO GO and start streaming immediately free-of-charge. This service also offers every previous episode on-demand in case you’re looking to catch up before the season eight premiere. Don’t have cable? Not to worry. You can sign up for HBO NOW, an over-the-top package costing $14.99 USD per month. 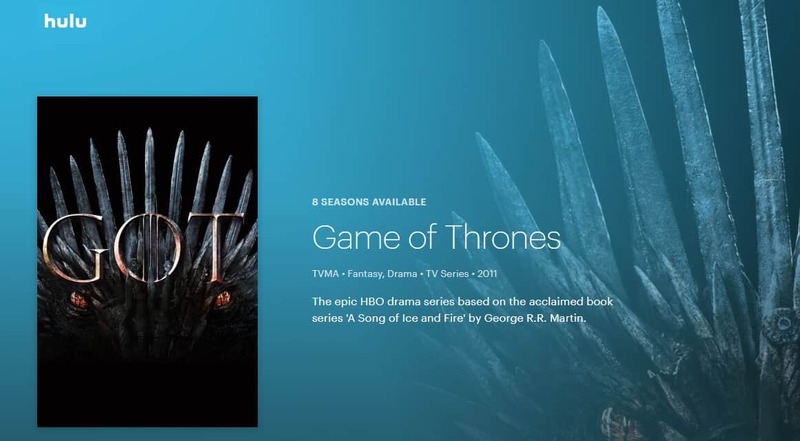 HBO Now offers an identical content library, and best of all, it allows you to stream Game of Thrones live; this is important to note since several platforms only allow users without cable to watch on-demand. This service also comes with a seven-day free trial so while you can’t stream the full season for free, you should at least be able to see if HBO Now is right for you. HBO GO and HBO NOW are region-locked and only available in the US. Further, as HBO NOW only accepts payment methods linked to a US address, it’s difficult for foreign users to sign up. Americans in other countries can register as normal and watch online using a VPN, however. DirecTV Now recently introduced two new packages, both of which include HBO. The cheapest of these is $50 USD per month, and includes a one-week free trial. That might seem steep, but you get access to more than 40 other channels, so it might be worth it if you plan to watch TV online regularly. Better still, there’s a promotion at the moment that cuts the price by $20 for the first three months: just use the code “20OFF3” at the checkout (this does prevent you from taking advantage of the trial, however). This streaming service is geo-blocked and can only be watched from within the US. To access it from abroad, you’ll have to connect to an American VPN server. Although Hulu doesn’t include HBO as standard, you can sign up for the base subscription ($5.99 USD per month) and pay an extra $14.99 each month for the HBO addon. Hulu comes with a one-month trial period and allows you to record new episodes of Game of Thrones so you can stream them again later. Unfortunately, Hulu is only available in the US. It actually checks to see if your payment method is linked to a US address, but as you can pay via gift cards, it’s technically possible to sign up from anywhere. You’ll still need a VPN to actually watch from abroad, though. PlayStation Vue has a variety of TV packages, starting at $49.99 USD per month. Only the most expensive one includes HBO as standard, but you can add this channel to any other plan for $15 more each month. 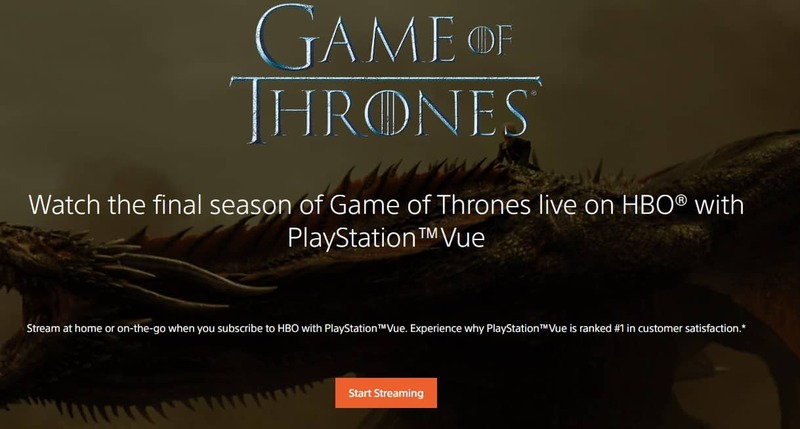 You don’t actually need a PlayStation to use PlayStation Vue but with a short trial period and higher overall costs, this isn’t an ideal way to watch Game of Thrones unless you’re already a subscriber. To access PlayStation Vue, you have to either be in America or connected to a US VPN server. If you have an Amazon Prime account, you can use Amazon Prime Video at no added cost. However, usually, this platform only allows you to watch on-demand content. With the HBO addon ($14.99 USD per month), though, you’ll be able to stream new episodes of Game of Thrones live. There’s really no advantage to this method over signing up for HBO NOW directly, however. Amazon Prime Video’s HBO addon is only offered to US customers. To get it abroad, you’ll need a VPN. British Game of Thrones fans will be able to watch the new season on Sky Atlantic, a channel which is available online via Sky GO. Episodes will be available at the same time as they air in the US (2AM GMT) with replays the following night at 9PM. It’s worth noting that you’ll need a Sky TV subscription to log in, and it’s a lengthy, expensive process for new customers to sign up, with no guarantee the service will be ready by April 14. Don’t worry: there’s another way to watch. Now TV lets you stream Sky Atlantic live and costs far less, at just £7.99 per month. This service includes a two-week free trial and doesn’t lock you into a long-term contract, making it ideal for streaming Game of Thrones season eight. Further, each episode will be available on-demand for up to one week after airing. While Now TV recently removed previous seasons from its on-demand library, it has since announced that these will return on March 1, leaving you plenty of time to get up-to-date. Sky GO and Now TV are both geo-restricted, meaning you’ll have to either be in the UK or connected to a UK VPN server in order to watch. Until last year, it was very difficult for Canadians to watch Game of Thrones live. Previously, you had to have cable TV and a TMN Go account, but that’s no longer the case thanks to a massive merger between The Movie Network, HBO, and CraveTV. Now, all you have to do to stream Game of Thrones is subscribe to Crave and get the Crave+HBO package, which costs $19.98 CAD per month. Got some catching up to do before the start of season eight? Crave also has every prior episode of Game of Thrones, so you won’t have to spend a fortune buying season one to seven on Amazon or iTunes (although you can, if you’d prefer to own them). Crave TV is only available in Canada. 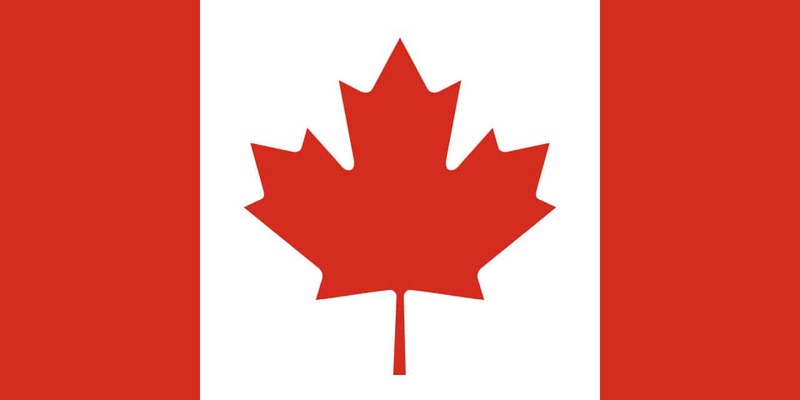 This means you’ll have to use a Canadian server to access it abroad. Foxtel has been Australia’s official Game of Thrones broadcaster since the show began in 2011, and nothing has changed this year. If you already have a Foxtel TV subscription, you can login to Foxtel Go and start watching previous seasons right away, since they’re all available on-demand. If not, you’ll have to sign up to Foxtel Now for $25 AUD per month; the required channel pack is included as standard though and there’s a 10-day free trial. Fetch’s on-demand library includes older seasons of Game of Thrones, but this service won’t be showing new episodes as those are exclusive to Foxtel. 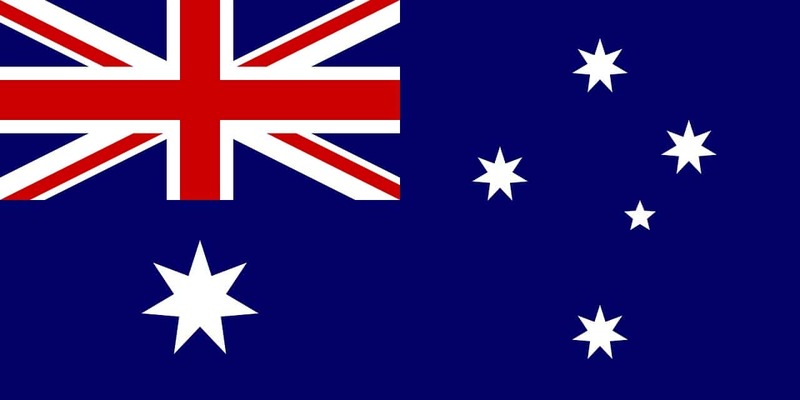 Both services are geo-restricted and only accessible from abroad via an Australian VPN server. There’s only one way to watch Game of Thrones in France, and it’s on OCS. While you used to have to sign up via your cell phone carrier, this is no longer necessary as there’s now an over-the-top plan which costs €9.99 per month and comes with a two-week free trial. OCS also offers every previous season of the show on-demand. While the show will air in English, OCS overlays French subtitles which can’t be turned off. It’s not ideal, but since there’s no alternative, there isn’t really much that can be done about it. Remember, if you usually live in a country with an official Game of Thrones broadcaster and are in France temporarily, you can still use a VPN to access your usual service. Game of Thrones season eight will be available on HBO España starting April 15. This service includes a one-month free trial, after which it costs €7.99 per month. Seasons 1-7 are already available on-demand too, just in case you’ve fallen behind a bit. You’re also able to watch on Movistar as long as you have an existing subscription and the required TV package. However, this method is prohibitively expensive for new customers, particularly given the short length of season 8. 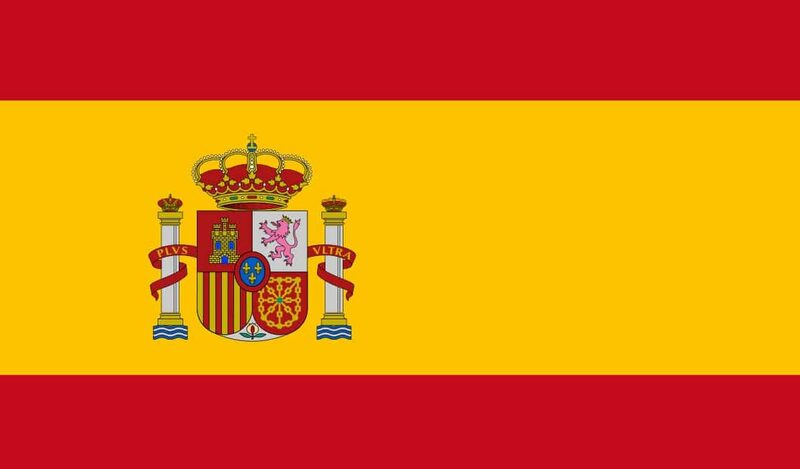 HBO España and Moviestar are only available in Spain. To watch from abroad, you’ll have to connect to one of your VPN’s Spanish servers. HBO is actually making Game of Thrones available to more than 170 different regions, so don’t worry if your country wasn’t mentioned above. In most cases, the new season will be broadcast on a regional HBO channel (although not all of these will allow you to watch online and in some cases, may show episodes a few days after they originally air). Not sure if HBO is available where you are? Check out this list of international HBO channels to find out where you can watch Game of Thrones in your country. Can I live stream Game of Thrones for free? Technically yes, but it’ll be difficult. Most of the platforms showing Game of Thrones season eight only offer a one-week trial, which isn’t long enough as there’s a new episode each week. However, as this season is so short, and it’s airing on so many platforms, you can sign up for a trial, watch one episode, cancel before you’re charged, and repeat until the show is done. It’s worth mentioning that this approach only works if you’re actually from the country that a given service is in. Many, including Hulu, PlayStation Vue, and DirecTV Now check to see if your payment method is registered in the required region and if not, you won’t be allowed to watch anything. Currently, Game of Thrones isn’t available on any version of Netflix. This show has been a major money-maker for HBO so understandably, the network wants to keep it locked up tight. Things might change once the final season ends, but realistically, it’ll be a few years until Game of Thrones hits Netflix, if it ever does. Warning: the following section contains spoilers for previous seasons of Game of Thrones. Details about the new season are few and far between, but we do have some information as to what we can expect. For instance, we know that season eight will have just six episodes, although they’ll be longer than usual. Since it’s been over a year since the end of season seven, here’s a quick recap: the Starks have taken back Winterfell but face a monumental challenge: uniting the South against the White Walkers by force (since diplomacy didn’t work). To make matters worse, the Greyjoys want no part in the battle to come and the White Walkers have a dragon of their own. There were also revelations about Jon’s parentage which could see him face threats from within his own camp. There are several other dangling plot threads to be resolved, too. What’s going to happen with the Mountain: will he face off against the Hound in the fight fans have affectionately been calling “The Cleganebowl”? Will Theon earn his place as king of the Iron Isles? And of course, will Arya score Cersei’s name off of her list? We’ll just have to watch to find out. 4 Can I live stream Game of Thrones for free? 5 Is Game of Thrones on Netflix? 6 What can we expect from the final season of Game of Thrones?